Highlighters have been trending in the makeup space for what seems like ages now. Everything from a natural glow to a blinding shine is still all the rage. We are addicted to that healthy brightness whether it is natural looking or not. And with there being no end in sight for the reign of highlighters, they have only gotten more intense. We are all familiar with powder highlighters like the Becca Shimmering Skin Perfecter, cream highlighters like Benefit Watts Up, and even liquid highlighters like Cover FX Custom Enhancer Drops. But there is a newcomer to the world of makeup. She has taken off like nothing I have seen before; she is the jelly highlighter. That’s right. A highlighter in a jelly format. The texture is smooth yet gooey, and also soft and creamy. 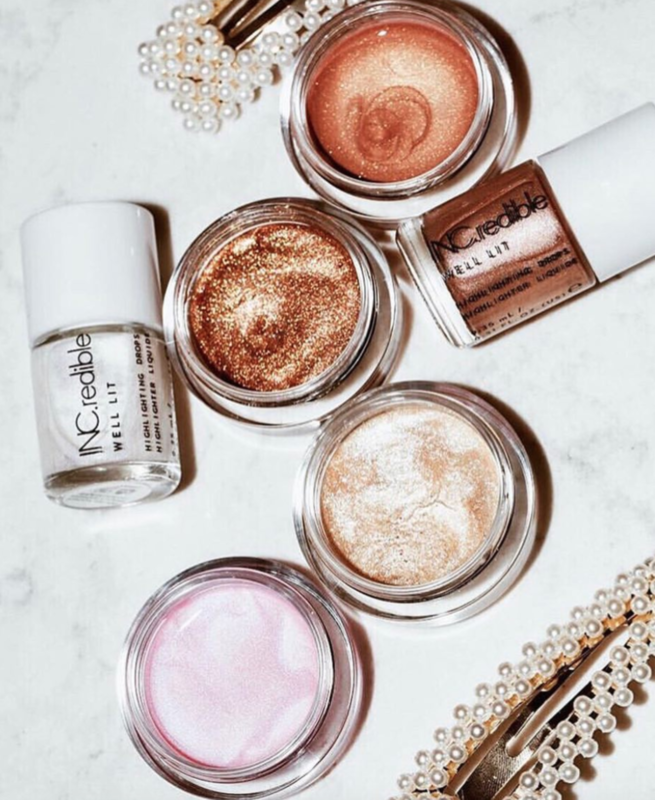 Why has this formulation of highlighter taken the beauty community by storm? Well, the texture creates an unmatched wet appearance on the skin. It somehow gives your skin a magnificent sheen without looking chunky or metallic. And there is no shortage of these goodies on the market. Just about every brand from luxury to the lowest of the low cost has launched its own version of these jellies. So here are the best, their dupes, and the ones to avoid. The Farsali Jelly Beam was one of the first of its kind to reach the market. It is also one of the most lavish of them all. With three subtle yet stunning shades, these jelly highlighters never fail to glisten in natural light. Their versatility is the reason why they are so coveted. With one swipe you can achieve a soft glow, but with a little build up your cheeks will catch eyes of strangers. The Farsali Jelly Beam can be used with or without makeup, and can even be spread onto the body to give you a healthy sheen. And for those of us looking for cruelty-free and toxin-free makeup, this product is vegan, cruelty-free, and free from artificial fragrance, silicone, paraben, sulfate, mineral oils, phthalates, and talc. Too Faced also just tossed their hat in the ring of jelly highlighters with their new Tutti Frutti collection. This trio of delicious colors doesn’t only sound indulgent, it smells indulgent. These babies are said to actually smell like fresh fruit. So, if you love the sensory effect of your highlighter this one will be luxurious at every step. The formula is also created with something called, “Innovative Self-Adjusting Emulsion,” which helps the jelly to reshape itself with each use. Maybe it is just the kid in me, but that sounds like so much fun. Could it be the memory foam of makeup? This version is made without parabens and gluten, and as all Too Faced products, cruelty-free. This does seem a bit more intense than Farsali, as it claims to give a strobing effect, but should still feel lightweight on the skin. I don’t know about you, but the rose pink shade looks like the ideal blush topper. For those who really want the highlighter to make a statement, the INC.REDIBLE You Glow Girl Iridescent Jelly is even more unique. These pots of shimmery goodness may look familiar, but each of these features an almost duo chrome finish. Not only do these jellyliscious highlighters give you an eye-catching glow, but the colors stand out from the rest of the space. Their shade, cosmic blur, is white at first glance and shine blueish in some lighting. Peach out and Show glow also have a mixture of reflections that appear to be color-changing depending on the lighting. If you love more of a “natural lit from within glow ” these are not for you. They are anything but subtle. Another highly rated, yet more affordable option of jelly highlighter is from NYX. This is a huge and cruelty-free drugstore brand that has a lot of hits and misses. And the A Bit Jelly Illuminator is a hit. This is another lightweight formula that gives your skin an indescribable radiance, but it is water-based, which means it may not be as long-lasting as it’s counterparts from other brands. Although they do dry down to the touch, the formula may not take you passed the 8-hour mark. These also have a bit more sparkle than glow to them, so depending on the look you are trying to achieve, they may not be for you. With that being said, the shade bronze looks glorious for deeper skin tones. Another look at jelly highlighters, this time from the affordable cruelty-free brand, Wet n Wild. This is another fan favorite. The downside is that it comes in one champagne shade at the moment. Although it is undoubtedly gorgeous and the shade can be worn on a wide range of skin tones, it does not offer something for everyone. The MegaJelly has a gel-to-powder finish, meaning it will not give you the wet look that others will. However, the formula contains cucumber and chamomile extracts to cool your skin upon application. So when it comes to picking up this jelly highlighter, the process of application may be more indulgent than the end result. And if you are interested in trying a gel-to-powder finish, this could be the option. DUPE ALERT! The ELF Jelly Highlighter is said to be a $6 dupe for the $40 Farsali. Of course, the packaging is not as glamorous or shiny, but the product itself has nearly identical shades and formulas to its high-end equivalent. This is an affordable jelly highlighter that will give you that wet look while still hanging around through the night. Although you will stand out with your popping cheekbones, the shades in this formula are all on the more natural side of things, so if you love a loud highlight with colorful tones, this may be one to overlook. Makeup Revolution, the brand known from its subtle copy-catting has also released their own jelly highlighters. The packaging definitely pulled some inspiration from Farsali, but this is the only one I have found with a silver tone. Even the rose gold shade has a unique coolness to it and the gold stands out as a true yellow gold rather than something that mimics champagne. Although these shades may not be colorful per se, they have a metallic vibe like nothing else I have seen. The boldness of these pigmented jellies features shimmer that is so fine it looks like actual foil. This launch truly surprised me. 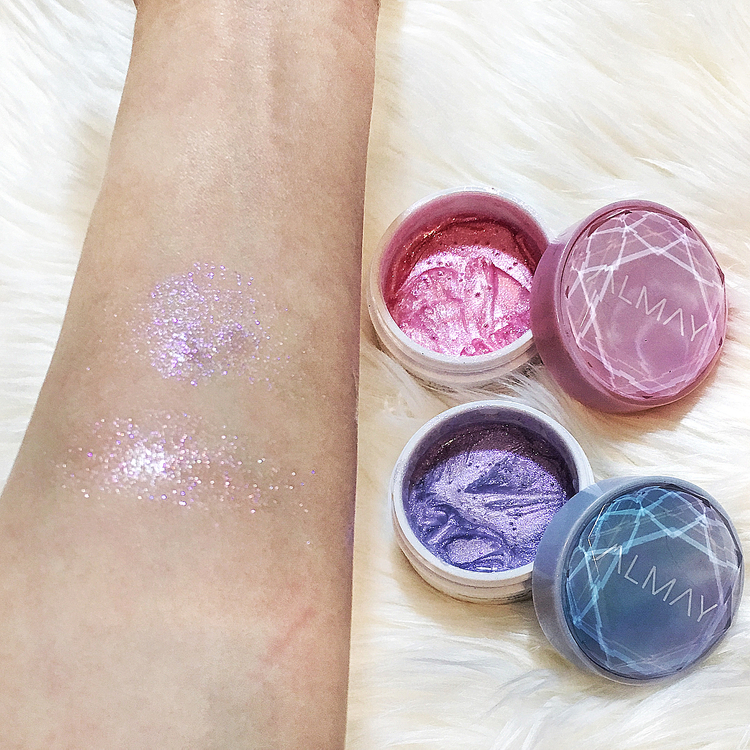 From a brand like Almay, that is usually quite safe, these highlighters are more fairy-like in color. With shade names like Mermaid Magic and Unicorn Light, it seems they are reaching for a younger audience. Although they do have a go-to gold shade in the range, the other two have more of an iridescence that stands out from what Almay usually does. With this being out of the ordinary for Almay, it seems they have flopped. Instead of offering a glow or blinding highlight, these highlighters seem to give off more of a chunky sparkle with more shimmer than pigment. If you want to try out something a bit different from a brand that seems to finally be branching out, this is definitely something to look into, but don’t be surprised if it does not live up to your expectations. 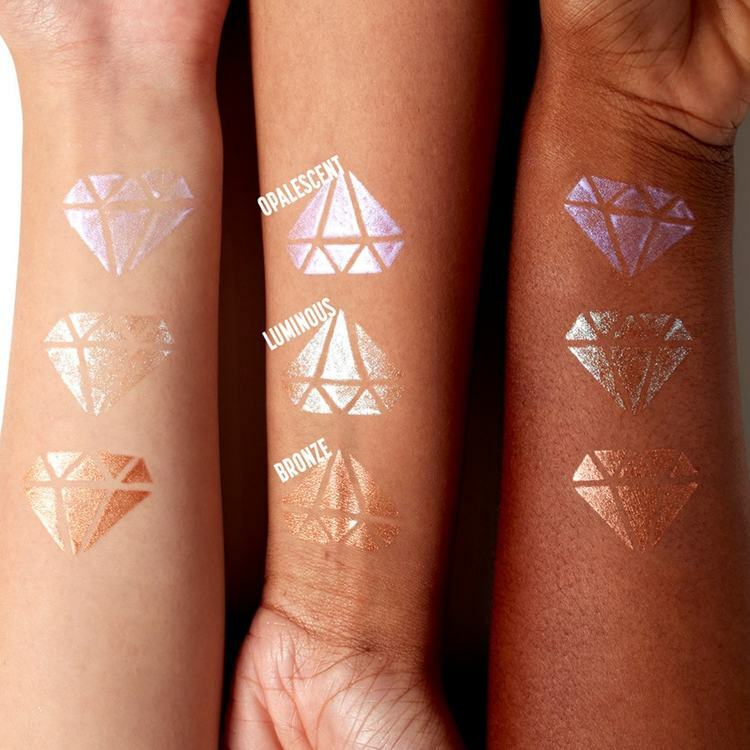 What do you think of the jelly highlighter trend, and which one will you try?